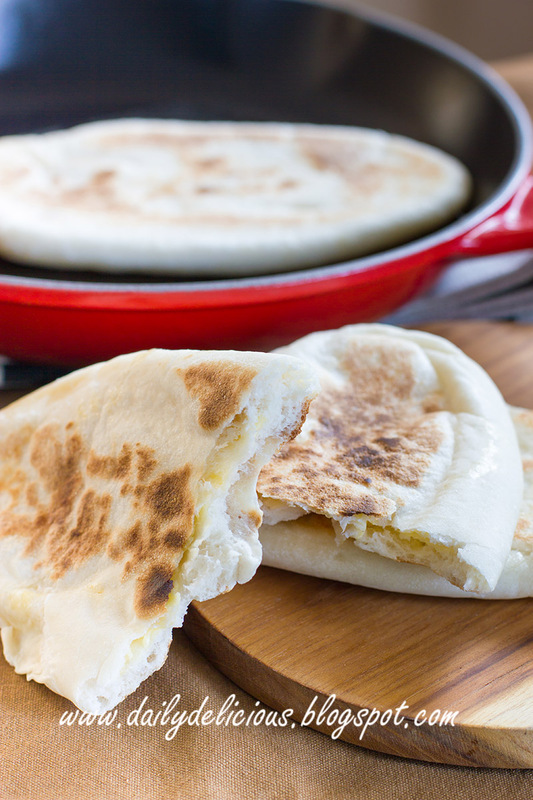 dailydelicious: Cheese filled Nan Bread: No oven needed. 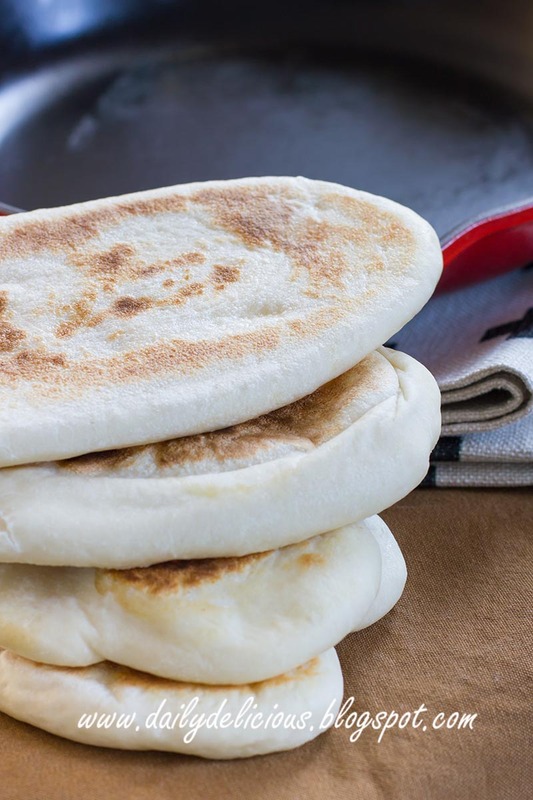 Cheese filled Nan Bread: No oven needed. You may think that, you need an oven to make bread, but the fact is there are many kinds of bread that you can make by using a stovetop or a heavy pan with cover. This bread is one of them, Nan bread ^^. If you love India food you may accustom to it, it's the flat bread that you eat with curry. Anyway I can't say that it's a traditional recipe, but if it's delicious and easy to make, I think you might want to try, hehe. 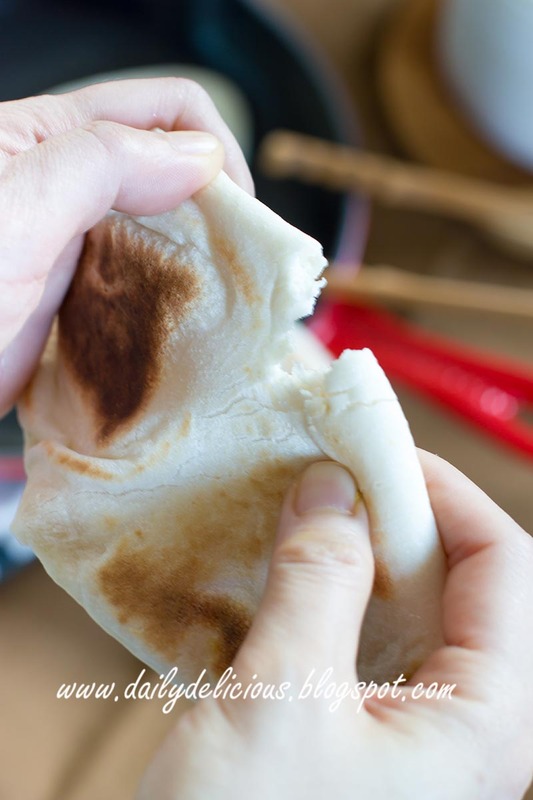 I make nan bread with an oven before, but this one is very good too. 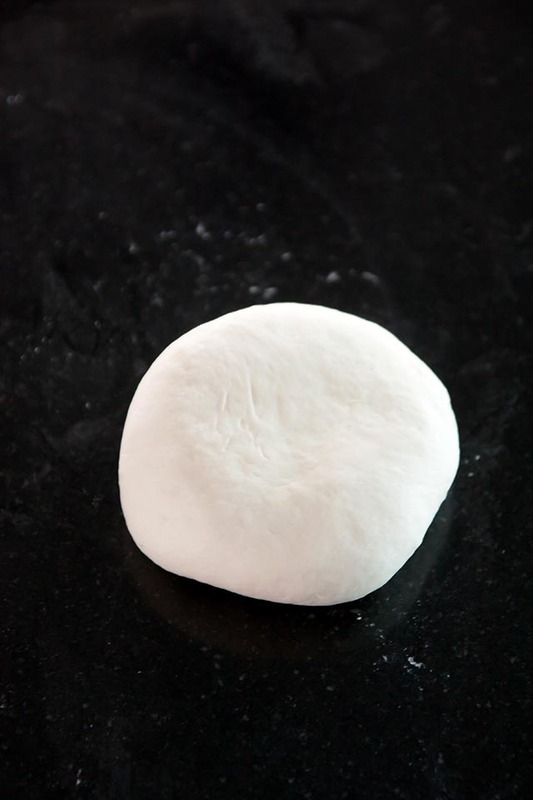 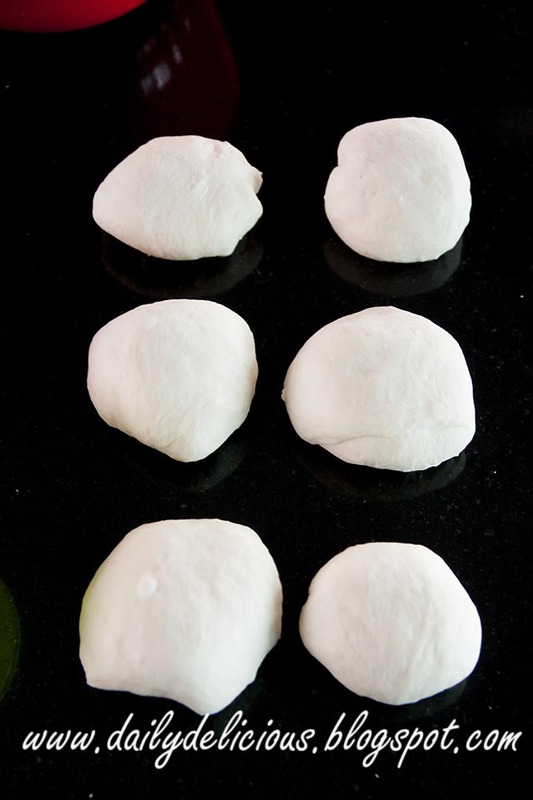 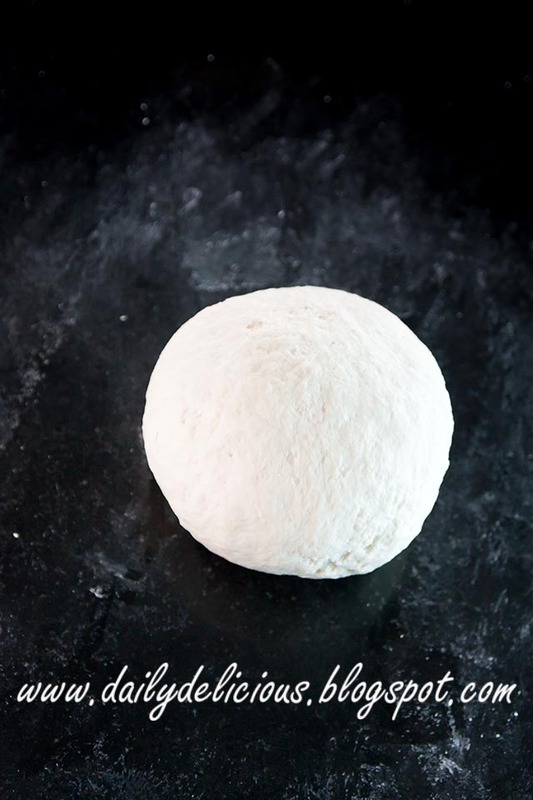 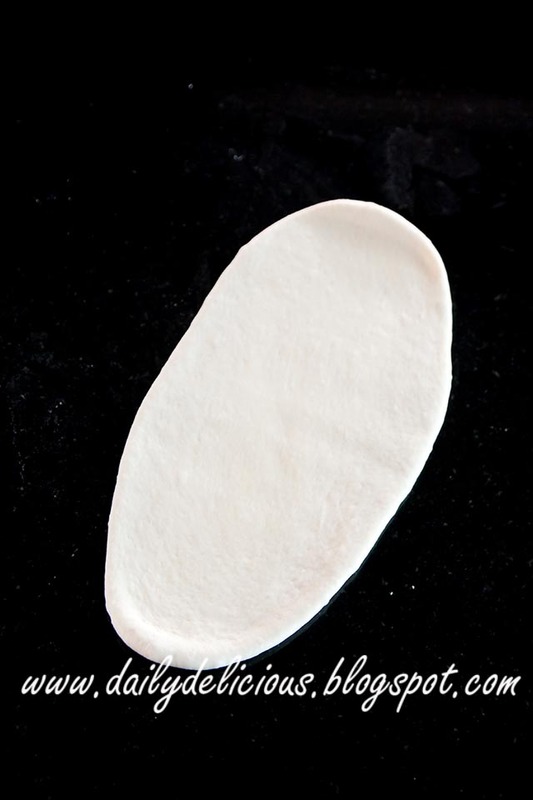 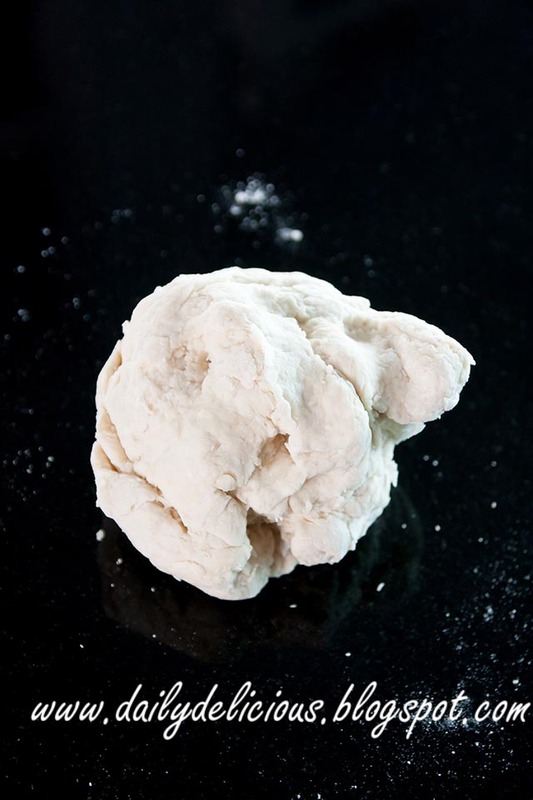 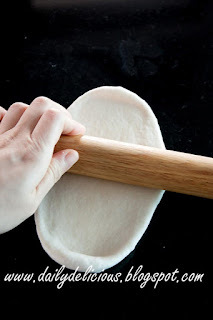 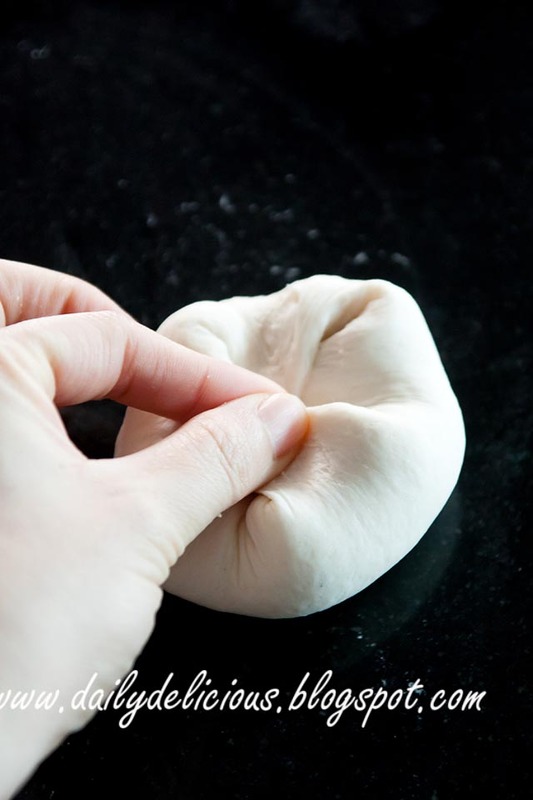 The dough is very easy to knead and shape. If you don't like cheese, you can make the plain version by skipping the cheese. 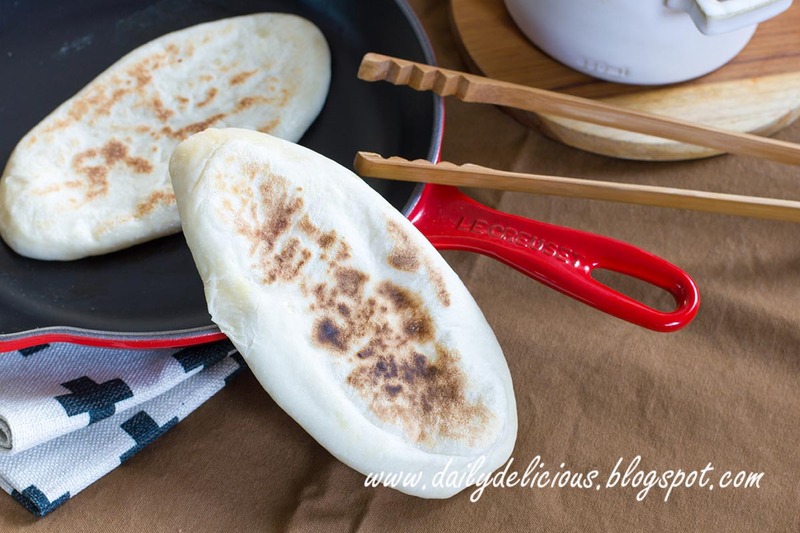 Serve it with curry or eat it by itself, it depends on you (it's delicious anyway, haha). *For the flour, if you have only all purpose flour, you can use 300g of it instead of bread and cake flour. Put both kinds of flour, instant yeast, sugar and salt into the bowl. 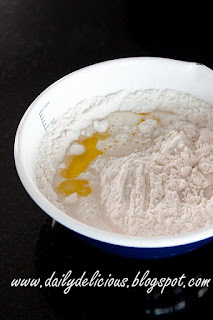 Pour water, milk and olive oil into the bowl. Mix with spatula until moisten. 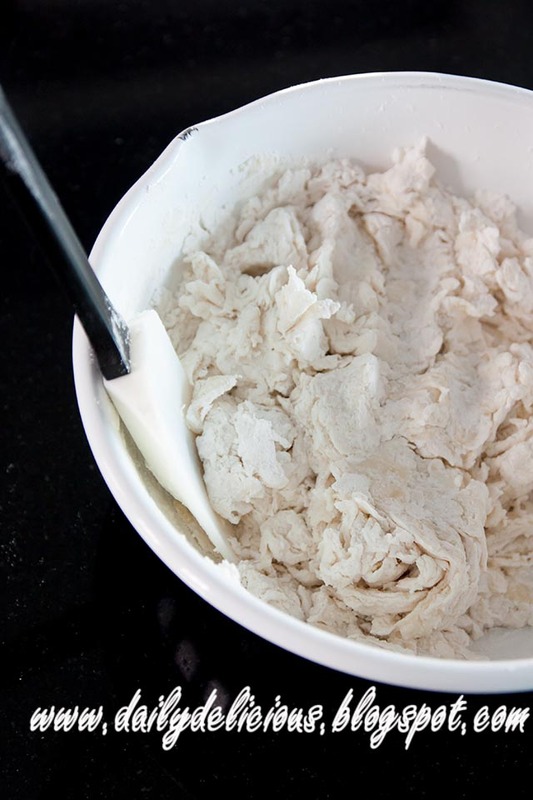 Remove from the bowl and knead until smooth. 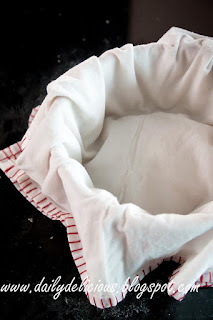 Place into a bowl, cover with damp cloth, let the dough rest for 40 minutes. 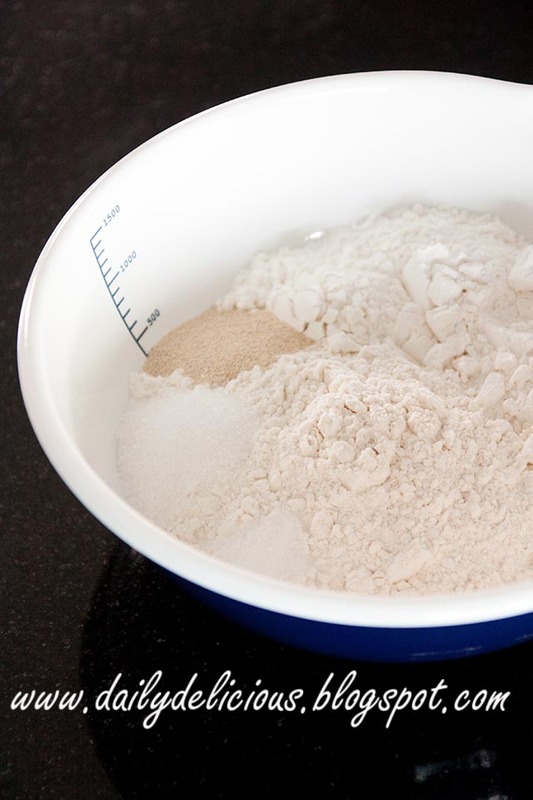 When it ready, remove from the bowl, and cut into 6 pieces. 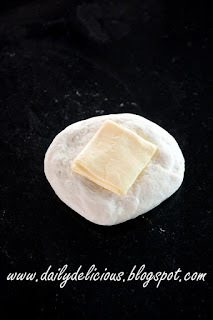 Press the dough lightly and place 1 slice of cheese into the center of the dough (fold the cheese before using). 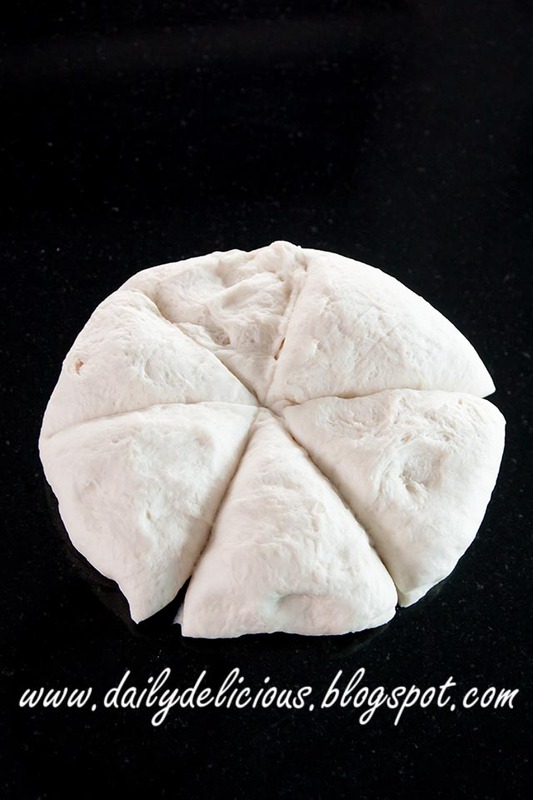 Turn the seal side down. 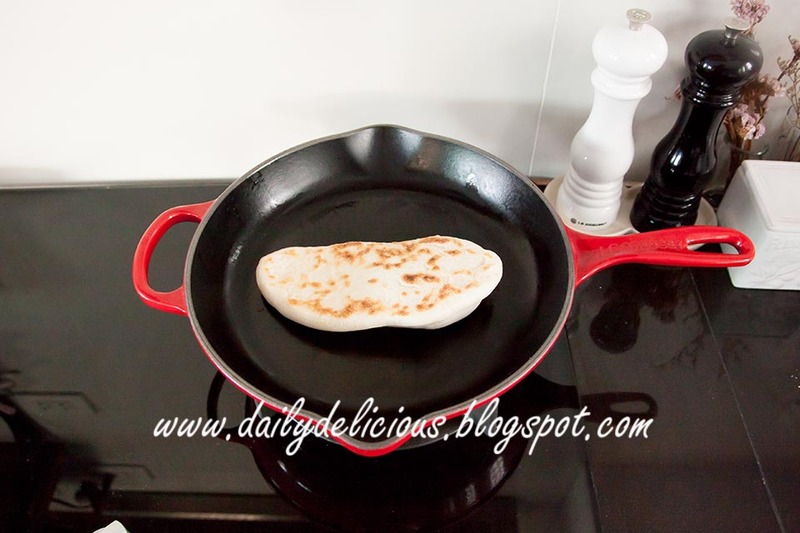 Lightly oil the pan, and cook the Nan over medium heat until brown.